After years of supervising trainees and developing clinicians, are you still interested in fresh perspectives on supervision and updated research on best practices? If you’re just starting out as a supervisor, are you hoping to hone your skills and get up to speed quickly so you can help develop supervisees into competent and capable clinicians? While providing supervision is a valuable way to give back to the field and advance your career, it also requires a different set of skills than your client work – and it brings a wide range of new processes and issues to consider. This comprehensive CPD certificate training course will give you fresh, innovative ideas and techniques to add to your supervision practice, regardless of your level of experience – including how to work with challenging supervisees, provide effective feedback, and work through difficult situations. You’ll get loads of practical, research-based insight on building a strong alliance, working through common problems in supervision, developing multicultural competence, and avoiding ethical pitfalls. Dr. Lois Ehrman will help you develop your supervisees’ skills by sharing up-to-date research on the most effective approaches and interventions, plus real-world examples and demonstrations drawn from her 18+ years of experience as a clinical supervisor. End this course with your CPD Certificate in Clinical Supervision and the knowledge you need to succeed as a clinical supervisor. Limited Time Bonus! Register today and you’ll get a FREE e-book to help you avoid legal and ethical issues, so you can focus on the work that really matters. Don't miss this opportunity to take your practice to the next level! Just £119.99 (VAT Inclusive) Today — Unbelievable Savings! Plus, earn up to 12.5 CPD Hours included in the course tuition. 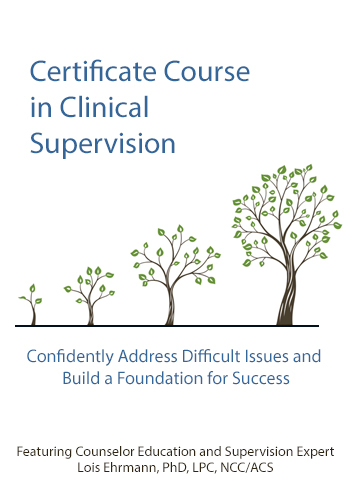 In these 7 comprehensive modules, you’ll learn how to build a strong foundation and work through challenges with your supervisees, starting with the very first supervision session – helping you develop your supervisees into competent and effective clinicians. In recognition of completing this intensive clinical supervision training, participants will be awarded a CPD certificate of completion. 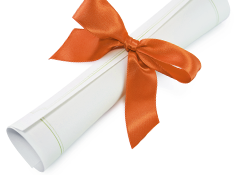 Your CPD certificate not only showcases your personal and professional accomplishment, but it also distinguishes you from your peers and shows your clients, your colleagues, and employer your continued dedication to improving therapeutic outcomes and your supervisory skills. When you’re focused on doing meaningful work with your clients and supervisees, the last thing you need are legal problems pulling your attention away. This free bonus e-book provides clear guidance through practical tips, helpful guidelines, and over 30 case examples – helping you avoid legal issues in your practice, so you can focus on what really matters. Susan J. Lewis, Ph.D., J.D., shares her expertise as both a psychologist and attorney – breaking down complex legal and ethical issues in an easy-to-understand way. Click “Register Now” to get instant access to all the training videos and the free bonus e-book. Watch your email for an order confirmation with links to all your new materials. Click here for course objectives and outline. Instantly collaborate with other professionals on the course materials through interactive message boards. You'll be part of a community of hundreds of practitioners all focused on clinical supervision, providing valuable opportunities to share insight and experiences and to build your professional network. Complete your online CPD tests and earn up to 12.5 CPD Hours! You’ll receive instant access to your CPD certificates – to print, save, or access again later when you need them. 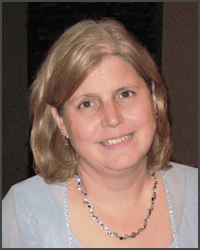 Lois Ehrmann, PhD, LPC, NCC/ACS, is the founder & executive director of The Individual and Family Choices Program in State College, Pennsylvania and an affiliated professor at Penn State University. She has taught courses on clinical supervision skills for doctoral level students and skills development for master’s level counselors. She is also the co-author of The Attachment Therapy Companion. Dr. Ehrmann has over 32 years of professional counseling practice and over 18 years of clinical supervision experience. She is credentialed as a Clinical Supervisor (ACS) & National Certified Counselor (NCC), Registered ATTACh Clinician, Certified Attachment Focused Family Therapist, Certified IFS (CSL) Therapist, Certified EMDR Clinician & Approved Consultant (EMDRIA), and Certified Trauma Specialist (CTTS). Financial: Lois Ehrmann is founder and executive director of The Individual and Family CHOICES Program. She receives a speaking honorarium from PESI, Inc. Non-financial: Lois Ehrmann has no relevant non-financial relationship to disclose. Register for this intensive training course without risk. If you're not completely satisfied, give us a call at 01235847393. We’re that confident you'll find this learning experience to be all that's promised and more than you expected.